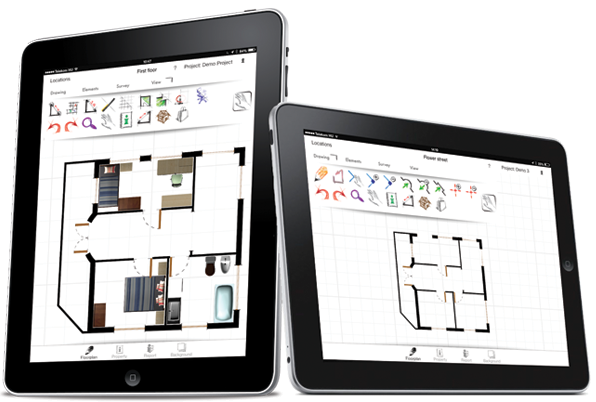 OrthoGraph Architect 3D is a floor plan survey and creation CAD app on the iPad. It utilizes all the benefits of the multi-touch iPad screen that is large enough to work with, and the strong hardware of your iPad to support you on-site. Let you work on small rooms as a carpenter or large office buildings as building surveyor teams, OrthoGraph performs well in both situations. Professional AEC CAD on the fraction of the cost of a desktop App! A good app... In general, well worth the money. Draw like you would do with a pencil on a paper. 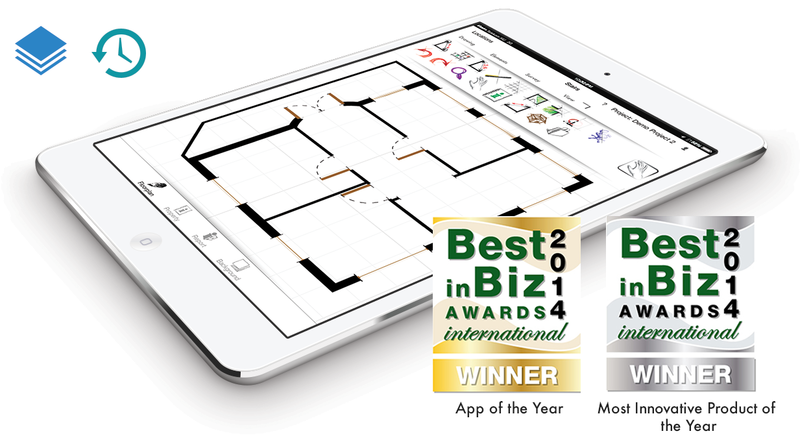 OrthoGraph understands it and creates a floor plan from it. Add new rooms simply by drawing the new walls. Create your multi-story document assisted with your iPad. 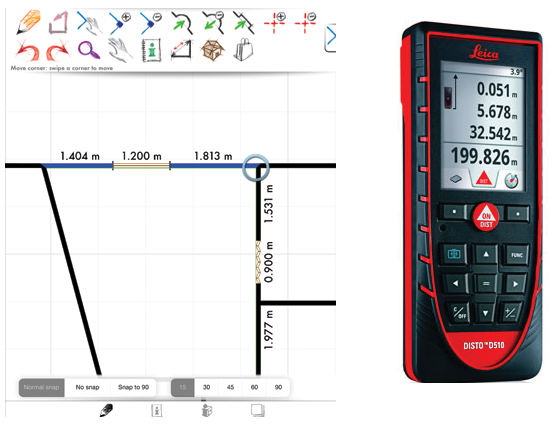 Enter distances or use your Leica Disto distance meter, the drawing updates instantly. Corners and their angles are reflecting the measurements, doors, windows move to their proper position with measured sizes. Add objects, cameras with their properties, store images made with the camera of your iPad. 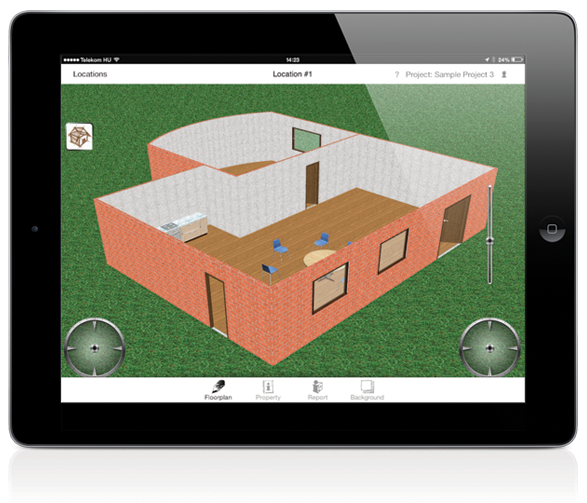 All building documentation will be stored in one place, in our professional BIM model. Every important calculation is in your hand. Get painting area, make floor plans or 3D renders for selling or get the PDF room book directly on site. 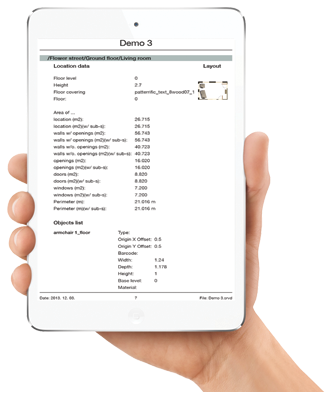 OrthoGraph writes DXF and IFC directly from the iPad containing every BIM information. The native CAD converters (like the ArchiCAD Import Module) provide even more. Get walls with doors and windows in them, 3D objects with measured properties in a multi-story building model. OrthoGraph - the lightest measuring kit just born!